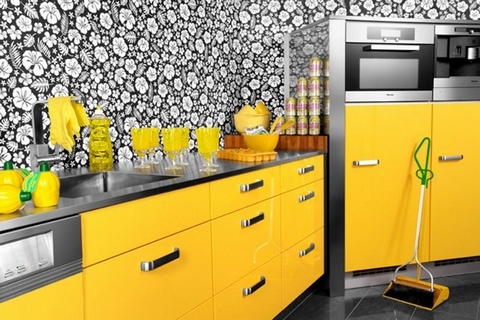 Check out this cool yellow kitchen! I don't know what about you, but as for me, I've fallen in love with this bright and sunny kitchen. The team of yellow, black, gray and white creates a good color mix. The downside is that the bold yellow color will eventually tire you down. That's why I'd probably not apply such an approach for my kitchen. Until today I believed that a cabinet should be small. 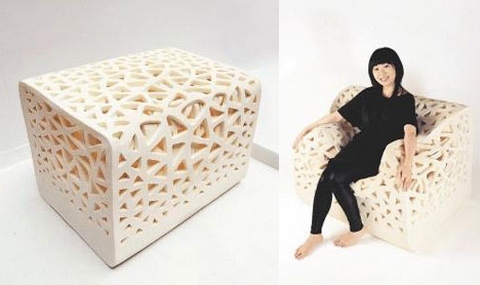 But this photo proves that in this case space can't be superfluous. Spacious, soft and cozy room plus that includes only the most essential things with no extra trifles - that's a sure setting for some fruitful work. 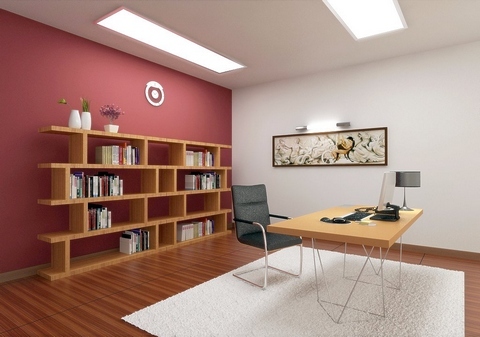 Pay attention to the color of this room, how faultless it is. Everyone can envy the owner of this perfect cabinet! Look at this lovely photo! 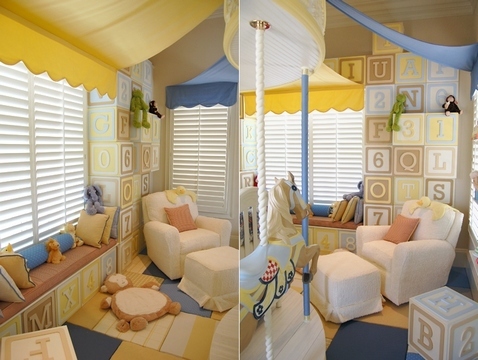 It's one of the most fantastic child's room that I've ever seen. This room is made by creative desiners of a company called "Kidtropolis". 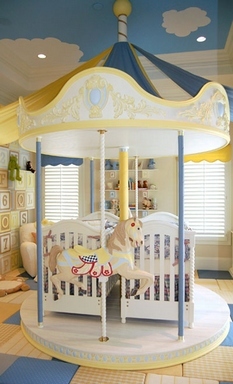 They've created a real paradise for the little ones by transforming the kid's room into a fairytale carousel. Here you can see the perfect combination of details and color palette, which make this room so cosy and comfortable, and what's especially cool that it equally suits both girls and boys. But the main accent of this interior is actually the furniture - that great carousel, which carries two cribs (for the twins!) as well as two carousel horses, which look like guards for the kids during their sleep. I'm totally in love with this gorgeous room. How could you not love it?